In terms of quantity, there are currently more than two thousand PCB manufacturers in the world, and the industry is fragmented with small factories. At the same time, the trend of "large-scale and centralized" of leading PCB manufacturers has become increasingly clear. In recent years, the world's major PCB manufacturers have experienced a new round of revenue expansion. According to statistics, the market share of the top five PCB manufacturers in the world has risen from 10.80% in 2006 to 21.84% in 2016. PCB industry enterprises, "large-scale, centralized" trend of development, on the one hand by the industry demand for funds, high technical requirements and the industry's competitive characteristics of the decision, on the other hand is also accelerated by the upgrading of downstream end products, brand concentration Increasing impact. With the continuous improvement of living standard and consumption level, end-users pay more attention to the user experience and high-tech content of electronic products. The acceleration of the upgrading of electronic products, the continuous development of new technologies, new materials and new designs, and the rapid transformation require that brand manufacturers must Strong financial and technical R & D strength, at the same time need to have large-scale production and unified supply chain management capabilities, a solid strength of manufacturers and selling outstanding products on top of each other, leading to PCB downstream industries increasing brand concentration. Correspondingly, large-scale PCB manufacturers with leading product design and R & D capabilities, excellent high-volume supply capability and good product quality assurance can continuously meet the needs of large-scale brand customers for supplier R & D, quality control and timely supply of large quantities The harsh demand for goods; and SMEs in such competition is highlighted inadequate, leading to its widening gap with large PCB manufacturers. Large PCB manufacturers continue to accumulate competitive advantages, expand the scale of operation, build high industry threshold, profitability continues to increase, competition will increasingly dominate, so that the industry is increasingly showing "large-scale, centralized" situation. Printed circuit board is a printed circuit board on a common substrate according to a predetermined design to form a point of connection and printing components, its main function is to make a variety of electronic components form a predetermined circuit connection, play the role of relay transmission. PCB manufacturing quality not only directly affect the reliability of electronic products, but also affect the overall competitiveness of downstream products. In the field of downstream applications, communications electronics, consumer electronics and computer area has become PCB three applications. In the 21st century, the popularization of personal computers has led to the development of PCB products in the computer field. Since 2008, smartphones have gradually become the main driving force for the development of the printed circuit board industry. The share of PCB output in the field of communications electronics has increased from 2009 22.18% to 27.31% in 2016, making it one of the fastest growing PCB applications. In the future, the PCB industry will usher in a new growth point as the emerging needs of downstream areas such as automotive electronics, wearable devices, industrial control and medical devices emerge. The communications electronics market downstream of PCBs mainly includes product categories such as cell phones, base stations, routers and switches. According to statistics, PCB output value in the global telecommunications electronics field reached US $ 14.8 billion in 2016, accounting for 27.3% of the global PCB industry output value. The output value of electronic products in PCB downstream communications market reached US $ 547 billion in 2016. It is estimated that in the next five years Maintain a compound annual growth rate of 3.4%. Since 2008, smartphones have gradually become the main driver of the printed circuit board industry. More and more users in the era of mobile Internet are moving from PC to mobile terminal equipment, and the status of PC is rapidly replaced by mobile terminal. Since 2008, with the wave of smartphones led by Apple mobile phones, especially in 2012-2014, smartphones have entered a period of rapid infiltration and opened up a vast market of billions of dollars worldwide. The downstream demand of mobile terminals represented by smartphones has driven the rapid growth of the previous printed circuit board. Since 2014, the growth of the smartphone market has started to slow down. Smartphones have gradually entered the stock age. The demand of the second replacement has become the main driving force of mid- to high-end mobile phones. In recent years, fingerprinting, 3D Touch, big screen, dual cameras and other smart phones continue to emerge, continue to stimulate demand for replacement. The stock market of smart phones still holds great potential. The terminal manufacturers will continue to enrich their products and optimize the service experience to stimulate consumer demand for switch-on and grab market share. In recent years, AR (Augmented Reality), VR (Virtual Reality), tablet PCs and wearable devices have frequently become hot spots in the consumer electronics industry. With the trend of global consumption escalation, consumers gradually shift from the previous material consumption to service-oriented and quality-oriented consumption . At present, the consumer electronics industry is brewing a new Blue Ocean represented by AI, IoT and smart home. Innovative consumer electronics products are emerging in an endless stream and will permeate all aspects of consumer life. According to statistics, in the global consumer electronics field in 2016, the PCB output value reached 7.3 billion U.S. dollars, accounting for 13.6% of the global PCB industry output value. In 2016, the output value of the consumer electronic products in the downstream industry reached 223 billion U.S. dollars and the 2016-2021 consumer electronics Industry compound growth rate of 3.5%. At present, one of the hot industries in the lower reaches of PCB is automotive electronics. Driven by the highly electronic trend of automobiles, the increase in the proportion of automotive electronics has driven the demand for automotive PCB products. The output value of automotive PCBs has continued to grow, attracting many PCB manufacturers The field. As consumers increasingly demand automotive functionality and safety, the share of automotive electronics in vehicle costs continues to grow. At present, a medium and high-end models of PCB product usage has reached about 30, automotive PCB product demand increased significantly. Although the entry threshold for automotive electronics is relatively high, good customer stickiness can lead to steady revenue growth after OEM certification. According to statistics, the output value of automotive PCB products in 2009 accounted for 3.7% of the total PCB output value, accounting for a significant increase to 9.1% in 2016, reaching 4.9 billion US dollars; from the growth rate of view, automotive PCB industry in 2016-2021 is expected CAGR of 4.3%, higher than the industry average of 2.2%. In addition, the global automotive electronics output reached US $ 193 billion in 2016 and is expected to grow at a CAGR of 5.5% from 2016 to 2021, making it the fastest-growing downstream area of PCB products. Industrial control, medical equipment and other emerging market demand, including industrial robots, high-end medical equipment and other emerging products become a lot of PCB manufacturers to actively explore the field. According to Prismark's statistics, the output value of PCB products in the industrial and medical sectors was 2.6 billion and 1.1 billion respectively in 2016, accounting for 4.8% and 2.0% respectively. The total output value of electronic products in the industrial and medical sectors reached 301 billion U.S. dollars, 2021 will be 3.9% compound annual growth rate. Technology Advances The 3C electronic devices such as smart phones continue to develop in the direction of becoming slimmer, smaller and more mobile. In order to achieve the goal of less space, faster speed and higher performance, the "light, thin, Short, small "requirements continue to increase. In particular, as the functions of smart electronic terminals such as mobile phones continue to increase, the number of I / Os is also increasing. Therefore, the line width and line spacing must be further reduced. However, the conventional HDI board is limited by the manufacturing process, Multi-line spacing smaller, can carry more functional modules SLP technology has become the inevitable choice to solve this problem. SLP (substrate-like PCB) that is high-end HDI board, the main use of the semi-additive method is between the subtractive and all-additive PCB graphic production technology, the production process relative to the full addition method More mature, and the degree of graphic refinement and reliability can meet the needs of high-end products, for mass production. The semi-additive process is suitable for making fine linewidths between 10 / 10-50 / 50 μm. As an optimized product that can simultaneously meet the requirements of mobile phone space and signal transmission, the gradual mass production and promotion of SLP will break the industry ecology. Some enterprises that occupy the first mover advantage are expected to take this opportunity to further expand their lead. The market size of SLP is expected to be nearly three Explosive growth will occur during the year. It is reported that since 2017, a number of well-known smart phone manufacturers plan to gradually introduce SLP in their end products. Through accurate judgment and early layout, the issuers have been actively involved in the SLP field and mass-produced in the second half of 2017. At the same time, taking this opportunity of public offering and listing as an opportunity, the issuer will raise 2.4 billion yuan to invest in Hong Qisheng high-end HDI printed circuit board expansion project, the raised investment project put into production the main products will include SLP products. At present, the world's top 20 PCB manufacturers mainly for overseas-based enterprises. 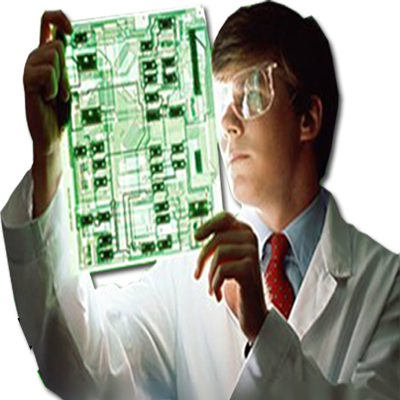 In the global scope, the mainland of China has become the PCB industry's fastest growing area; PCB companies invest in major overseas PCB manufacturers in China's production scale, research and development level, supply capacity, product quality and customer quality, etc., Have obvious advantages. According to the analysis of Taiwan's Industrial Technology Research Institute (IEK), the market share of Taiwanese capital, Japanese capital, Korean capital and land-based enterprises in the global PCB market in 2016 was 30.2%, 21.6%, 17.6% and 16.8% respectively, of which Taiwan The share of funded enterprises is the highest at 30.2%, which is closely related to the pivotal position of Taiwan-funded enterprises in the global electronics industry. In addition, according to Prismark 2017 Q1 latest report statistics show that in the world's top 20 PCB manufacturers, Taiwan-owned enterprises occupy 8, significant scale advantage. PCB manufacturers competition is relatively stable, after the screening of the industry cycle, the world's top 20 PCB makers market share slightly increased from 45.6% in 2011 to 47.7% in 2016, the share is relatively stable. 2011-2016 PCB industry top 20 largest enterprises in the market share remained at between 45% -50%. In the case of a large number of PCB manufacturers, the industry's large enterprises have accumulated rich experience in the industry, can better respond to industry fluctuations. PCB companies in mainland China started relatively late, the general scale of production is small, the overall market share is low. Early products such manufacturers focus on rigid printed circuit boards. In recent years, a group of Chinese enterprises that have taken shape and have certain technological leading strength have begun to shift to relatively high-end PCB products such as flexible printed circuit boards, HDI boards and high multi-layer printed circuit boards. The SMEs that have been successfully listed will actively Raised funds should be used to expand production capacity and develop high-end products. In addition, in recent years, China's rapid rise of local smart phone brands, led some of the rapid development of small and medium PCB companies in China. Relying on the good cooperation with domestic customers, the local PCB production and marketing scale continues to expand and begin to develop more high-end PCB products market.